HomeBlogOC, AND PROUD OF IT! In my early days of learning about RO-DBT I didn’t connect the dots that maybe…just maybe I was OC (overcontrolled). It wasn’t until I started to teach the skills to Veterans in a group (we call it class 😊) format that I started to realize, that I am OC! (I was later given much needed feedback that my coping style fits very closely with the subtype we call ‘overly disagreeable’, but I digress…that is for another post). The personal examples that came to me as we taught each lesson just came too easy for me not to be OC. Frankly, I didn’t have a lot of energy about calling myself OC or joking with colleagues about my quirks related to my coping style. I felt quite close to the Veterans learning RO-DBT skills and could empathize with the energy it takes to rigidly apply self-control and how lonely one can feel when it seems hard to connect with others. My wife, who is also a social worker, knew that I had been trained in RO-DBT and got the gist. However, because I tend to leave out a lot of information in conversations and prefer to listen to other people talk, it took some effort to out myself (aka, revealing vulnerability) and confess that I was OC! Of course, she met my disclosure with one of curiosity and a desire to learn more about what this meant for me. From the beginning of my personal radical openness journey, she has been nothing short of supportive of my endeavors (I still have to make sure she isn’t peaking at my self-enquiry journal, tehehe). 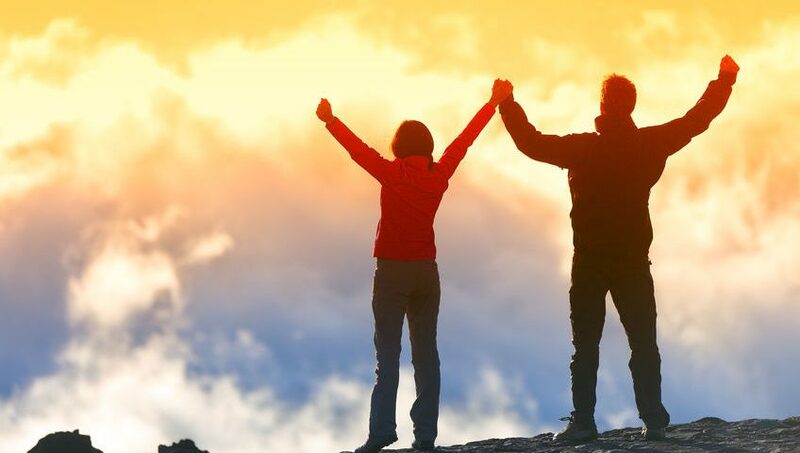 Fast forward several months following my first blog post on the topic of my personal experience coming to know my coping style as over-controlled – I have had a lot of comments from friends, family and colleagues alike. Most of these comments were supportive, but some said things like ‘Oh no, I think I might be OC too. Shoot!’ I wanted to spend some time making sure we don’t stigmatize being OC and instead celebrate the upsides to having this coping style. To reiterate, OC does not become a problem until the coping strategies do not change based on context. For example, it is perfectly fine for me to spend an entire day at work meticulously planning every detail for my program’s future using spreadsheets and calendars. However, when the weekend comes it is important that I can turn off my planning mind, be more spontaneous and go with the flow. At the outset of treatment, we explicitly say that we don’t want to throw the baby out with the bathwater. Meaning, we don’t want to communicate that all aspects of being OC are problematic and must change. I know I’ve come to love and accept my OC ways and wouldn’t change them for the world. This is who I am and what helps me excel at certain parts of my life. Our job is to build awareness and new skills to help determine when to turn our OC coping into full gear when the context calls for it and to also be able to chill out and relax when we are celebrating a friend’s birthday. What is so great about being OC you ask? Well for one, we know that social bonds are dependent on our capacity for self-control. For example, not acting on every impulse helps us to be able to work in groups without expecting someone to attack us just because we accidentally stepped on their toe. Self-control capacities also ensured that we could resist the urge to consume valuable resources to save for a rainy day. Perfectionism Installing a child’s car seat, precisely following the directions. Re-stacking the dishwasher meticulously after someone already loaded it. Rules and fairness Buying all your kids the same sized ice cream cone. Ending a genuine friendship because you helped your buddy move, but he couldn’t return the favor one month later. Not eating all the donuts you bought for your colleagues on the way to work. Depriving yourself of having a yummy donut once you set them out at the meeting. Completing a project two days early to meet an important deadline at work. Going to work despite feeling ill, instead of staying home and resting on the couch. Approach coping Getting all your documents together to give to your accountant for tax season. ‘Fixing’ the sink despite not having the capabilities of a plumber because you can’t tolerate a clogged drain until a professional arrives. High detail focused Spotting and editing a grammatical error in a presentation you are going to give to a large audience. Correcting a friend’s mispronunciation of a word when they are venting to you. Though my personal experience of coming to recognize my habitual ways of coping has been both enlightening and painful, the journey has challenged me in ways I never anticipated. I’ve had to confront some long-held beliefs about how the world operates and then make changes based on new insights. I’ve also grown to love personal attributes that contribute to satisfaction with my both my professional and personal life. I’ve come to accept that this will be a lifelong process of learning and exploration, in order to live a life of openness, flexibility and connectedness. So far, I’ve experienced tremendous growth and satisfaction in my life that I didn’t realize was possible thanks to radical openness. Lynch, T. R. (2018). 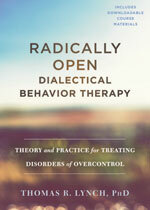 Radically open dialectical behavior therapy: Theory and practice for treating disorders of overcontrol. Oakland, CA: Context Press, an imprint of New Harbinger Publications. Jimmy is the Intensive Treatment Division Director at the Columbus Ohio Veterans Administration. 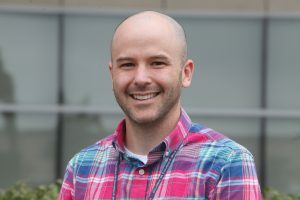 He specializes in the training, implementation and clinical supervision of the following Evidence Based Practices (EBP); Integrated Dual Diagnosis Treatment (IDDT), Assertive Community Treatment (ACT), Motivational Interviewing (MI), Motivational Enhancement Therapy (MET), and Dialectical Behavior Therapy (DBT). Jimmy is happily married to his wife who is also a Social Worker at the VA. He also has an adorable one-year old son.